This is the one you have been searching for!!! 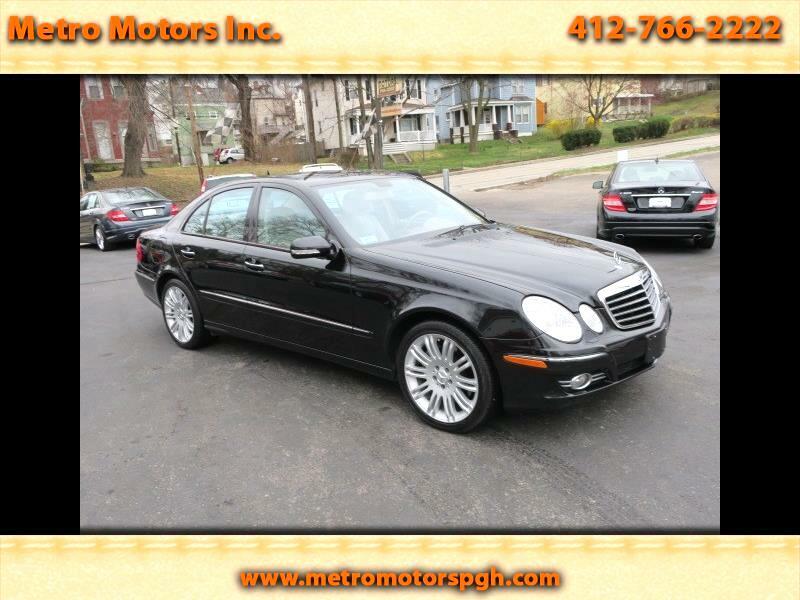 Pristine 1-Owner 2007 Mercedes Benz E 350 4-Matic ALL WHEEL DRIVE!!! This Garage Kept Beauty has been Serviced at the Selling Mercedes Benz Dealer with Service Records from Day 1. Fitted with Every Option Available!! Finished in Obsidian Black Pearl, Palomino Tan Leather Interior with Birds Eye Maple Interior Wood Accents. AMG Sport Pkg. Elegance Pkg. Command Premium Harmon Kardon Sound System, Navigation, Satellite. Power Glass Moon Roof. Leather Wrapped Electric Tilt & Telescopic Steering Wheel with Command Buttons. Automatic Headlamps. Rain Sensor Wipers. Headlight Cleaning Washers. Home link Garage Door Sync. Sport Instrument Cluster. Fold Down Rear Seats. Electric Rear Window Sun Shade. 10 Twin Spoke 18 Inch Alloy Sport Wheels. Just had Service A and B at Mercedes Dealer!! Just Inspected, Smog Tested. All Original Books, Manuals, Key Fobs. Clean Auto Check History Report Showing 1-OWNER, NO ACCIDENTS OR ISSUES!! You will NOT Find One Nicer! !